The early Twentieth Century was a critical time for American literature. America was producing its own share of writers inspired by the Modernist experiment across the Atlantic, and those experiments in turn shaped American literature in perpetuity. In this period, many Americans went across the sea to Europe – most famously with the so-called ‘Lost Generation’ writers after the Great War. This post will look at a number of famous Americans writers who felt called to Europe, though they vary significantly in the reasons they left, how long they stayed, and what they brought back with them. 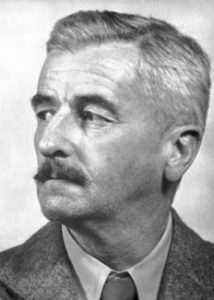 For many young writers or writers-to-be, the first experience of a foreign country came in France’s country-side towns and France’s trenches during World War I. William Faulkner, always identified with his home state of Mississippi, was clearly influenced by the war, though he did not see actual combat in France. His first novel, Soldier’s Pay, was about a World War I soldier returning home. Flags in the Dust, his first novel set in Yoknapatawpha and the book in which he is generally considered to have ‘found his voice,’ likewise focuses on an American airman returning to his Mississippi hometown, mourning the loss of his brother. At the end of his career, Faulkner returned to France with his World War I novel A Fable. While the traumas of World War I had an effect on many young writers, the Spanish Civil War of the 1930s critically affected others. The conflict between Royalists and Republicans in Spain, which quickly became one between Fascists and Communists, is often looked back on as a prelude to the greater war to come. Intelligentsia on both sides of the Atlantic quickly staked out positions, some from a distance, but others felt compelled to experience the pivotal conflict first-hand. Ernest Hemingway, who had already written extensively about Spain in Death in the Afternoon, came to write about the Republican side. His experiences during the war ultimately shaped one of his best-known novels, For Whom the Bell Tolls. John Dos Passos, already famous for his experimental continent-sprawling U.S.A. Trilogy, also went to Spain with the intent of fighting for the Communists. The execution of his friend Jose Robles on suspicion of being a Fascist spy led to a reversal of his political views, and he became an ardent anti-Communist in his later years. 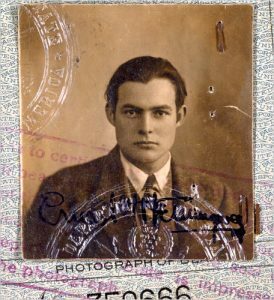 Hemingway and Dos Passos had been friends since their days in Jazz Age Paris, but the Spanish Civil War caused a bitter personal and political break between them that would last the rest of their lives. As Fascism continued to spread across Europe and World War II approached, expatriate Americans wrote back home with early depictions of the tumultuous events unfolding. 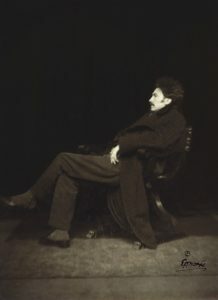 Poet Ezra Pound grew up among Quakers in Pennsylvania, but moved to London in his early twenties and quickly became part of the avante garde literary scene with Eliot, Joyce, and others. After the war, he became disillusioned with England and moved to Paris. He found nothing to satisfy him there and ended up in Italy, where he began the Cantos, his most famous poems. Always a political thinker, he started giving lectures on how to solve Europe’s post-war economic problems and found a friend in Benito Mussolini. On return trips to the United States he attempted to convince American politicians of the virtues of Fascism and made numerous radio broadcasts from Italy during World War II, denouncing Jews and capitalists. The United States declared Pound a traitor and in 1945 he surrendered to Allied authorities to escape the mob that had lynched Mussolini. He spent over a decade in prisons and mental hospitals, still writing out poems on rolls of toilet paper. A very different reaction to the growth of Fascism came from Thomas Wolfe. Despite being another writer closely identified with his hometown (in this case, Asheville, North Carolina), Wolfe also traveled throughout Europe in the 1920s and developed a particular fondness for Germany. This fondness made him even more horrified by the rise of Hitler, and in 1936 he wrote pieces warning against Nazism that got him banned from Germany. Wolfe himself would die two years later, before the start of the war that would devastate the continent that formed so many American writers of his generation. From the ‘Lost Generation’ of 1920s France, to the varied responses to rising Fascism in Europe, the Continent holds a certain fantastical place in the American literary psyche. The clash between American and Old World cultures is nothing new, but was immortalized by these and other writers, particularly in the time between the two world wars. This entry was posted in Blog, Personal Narrative and tagged Ernest Hemingway, Ezra Pound, John Dos Passos, Lost Generation, Scott Ondercin, Thomas Wolfe, William Faulkner, World War I, World War II.